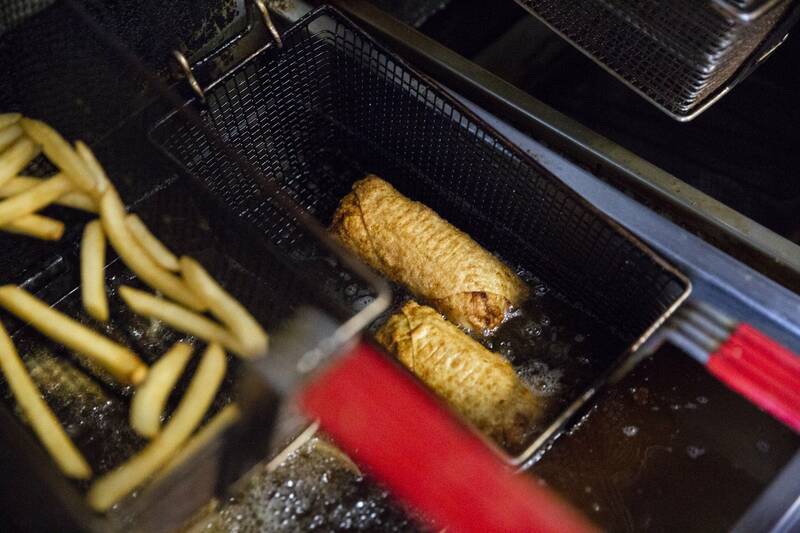 What looks like an egg roll is bubbling in a fryer at this northside eatery. But take a bite and it's a mouthful of soul food favorites. "That one has greens, fried chicken and macaroni and cheese. 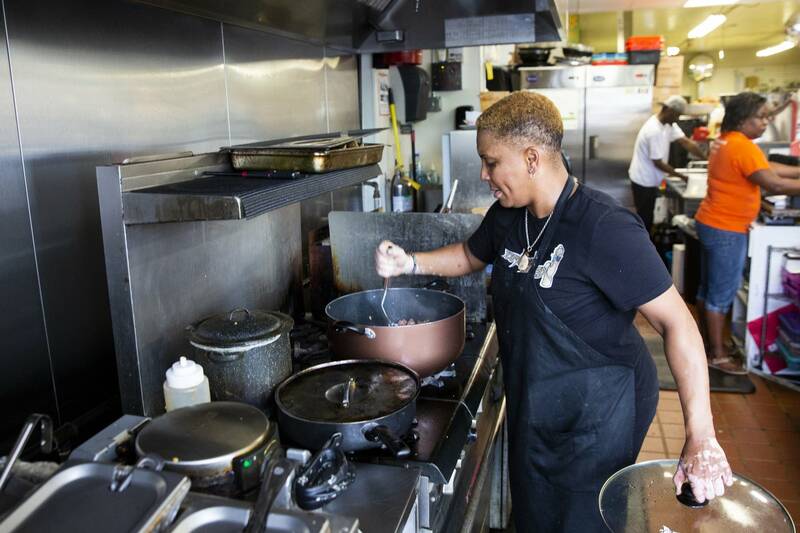 It's all love and soul in a roll," said Wendy Puckett, the owner of Wendy's House of SOUL. Her place is inside K's Grocery and Deli, at 1021 W. Broadway Ave. in Minneapolis. And her creation — the soulroll — was concocted out of desperation to get her sons to eat their vegetables. "I'd put everything inside of the roll and wrap it up and they would just eat it and dip it and eat it," she said. "They didn't ask what was in it." The trick evolved into different recipes and varieties for family and friends. It's now fueling her business. Wendy's boasts a full menu of traditional offerings but the soulroll is the main draw. She's been in business for four years, the last year of which has been inside the grocery store. Puckett's take on soul food will be on display as part of Eat on the Avenue, a campaign to support startups and showcase the range of food options in the community — from East African to Latin fusion to a juicery. She said she hopes the campaign changes the perception of north Minneapolis from a high-crime area to a food destination. Puckett said the community is home to promising food startups that often stall due to a lack of resources and know-how. "I think people forget about Broadway. I think they get caught up in what they hear on the news and what they hear from other people," she said. Puckett's business is being propelled by the Northside Food Business Incubator, which is a joint effort by the neighborhood nonprofits Appetite for Change and Northside Economic Opportunity Network. It provides commercial kitchen space and business training to entrepreneurs. Puckett started cooking when she was 5 years old with her grandmother. Now she is learning the business side of owning and operating a business. "They help us with gaining customers and classes to help the business flourish," she said, "anything that have to do with the accounting and business side." Eat on the Avenue is an effort by the incubator. Ann Fix, its program manager, said the campaign creates marketplace opportunities. "The thought was we want to give our participants the opportunities to add revenue streams, test out the market, sell to the community. Eat on the Ave seems to fit that," Fix said. Last year, the campaign created a food truck lane for a few hours during lunch each Thursday. The limited hours catered more to people who worked on the north side and less to people who lived there. 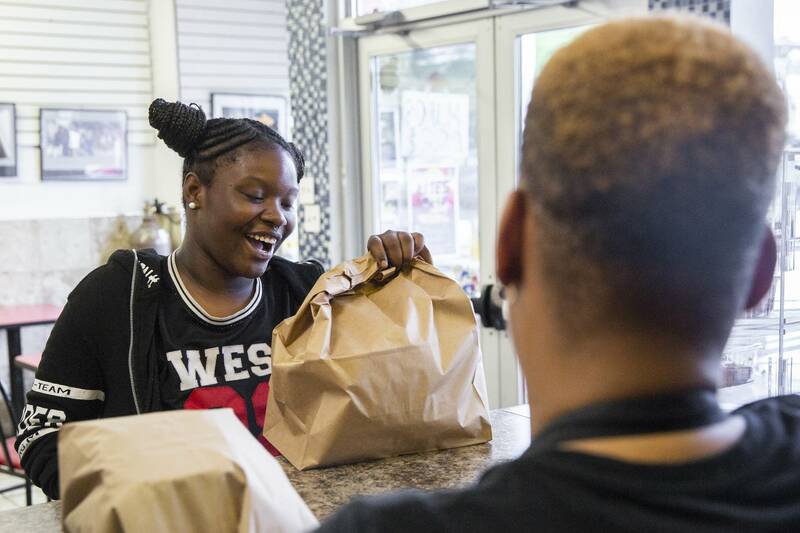 "One of the goals of our program is to be providing really great food options to North Minneapolis residents. So when do northsiders eat when are they home — to go to restaurants or a food truck rally? " The answer was evenings and after church on Sundays. So now, Fridays feature food trucks for lunchtime, followed by a farmer's market in the afternoon. Each Sunday, and once a month on Wednesday, a food court with a variety of vendors and food trucks will assemble on the green space of the Sanctuary Covenant Church, 710 W. Broadway Ave. In addition, a pop-up eatery in Breaking Bread Cafe, at 1210 W. Broadway Ave., and restaurants serve dinner until 8 p.m. three days a week. Back at Wendy's, customers stream in and order a variety of soulrolls, from the taco to vegan. Raekwon Martin's grandma is treating him to lunch today. And the South Minneapolis resident chose Wendy's. "I got the cheeseburger one the last time and it's the best. I never tried all the other ones but I just came back to get the same thing," Martin said. 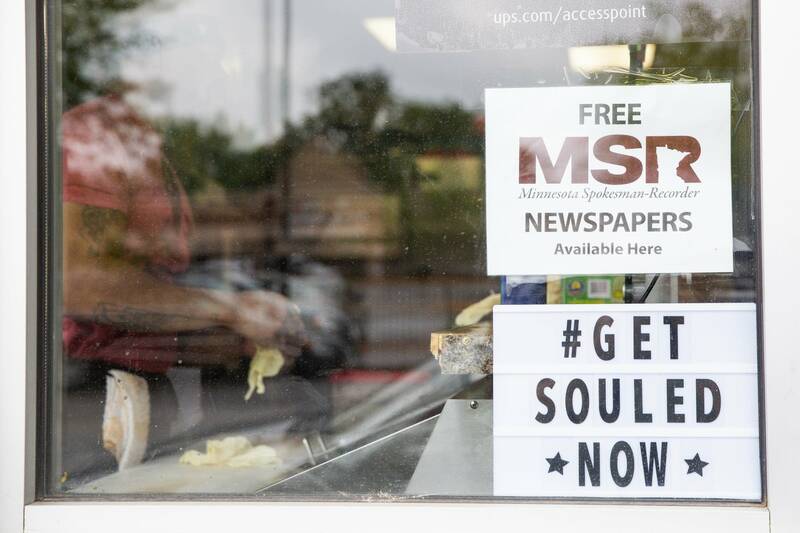 Puckett said customers trek from as far as Mankato and North Dakota — some who order soulrolls by the dozens. The catering side of her business is booming as well. She said she is looking to move out of the convenience store and into her own storefront to operate a full-service restaurant. She said she believes being part of Eat on the Avenue will help her achieve that. "They'll be able to see what's available in the neighborhood. Even if they don't eat, they'll be able to stop in, grab a menu and answer questions about what it is. I think it'll help the business," she said. Eat on the Avenue runs weekly until Sept. 30.